For more ways to win, you need to take a spin with the Battlestar Galactica slot game. Produced by Microgaming and bearing all the hallmarks of the hit sci-fi show, this online slot is a triumph of design and development. Why, we hear you cry? 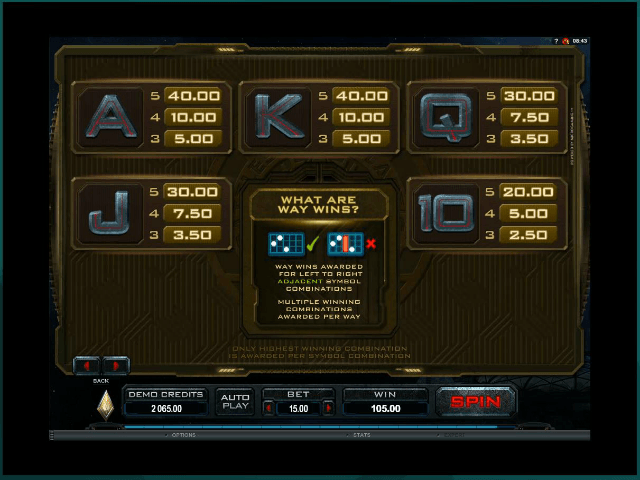 Well, because like most things Microgaming does, this video slot combines style and substance. For example, in among the cards and characters, this software provider has brought many of the game's symbols to life. 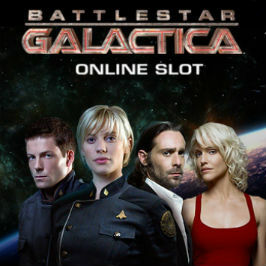 Want to know why you don't need to be a sci-fi fan to love the Battlestar Galactica online slot game from Microgaming? Well, if you come with us now on a journey through iGaming space and read our Battlestar Galactica slot review, we'll show you why! 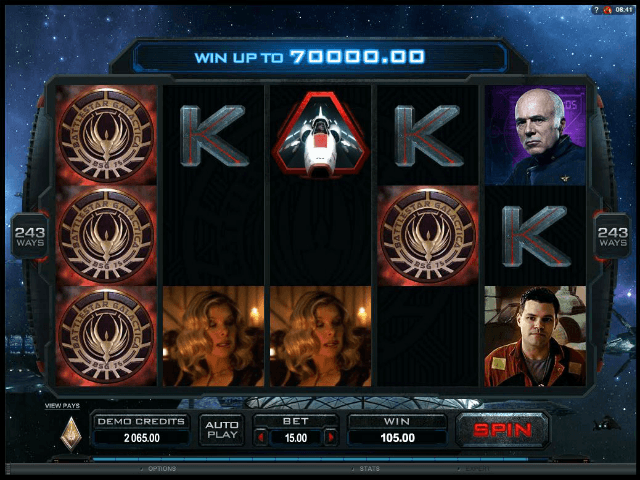 Microgaming brings Battlestar Galactica to life through its lively symbols and graphics. These animated symbols certainly give the game a unique look which is then combined with 243 ways to win (there are no set win lines in this game) as well as some fantastic bonus features. We'll get into the nuances of the bonus features a bit later on in this Battlestar Galactica slot game review, so for now we'll say that even without the bonuses you can win up to 70,000 credits. From as little as 1.50 credits per spin, you'll have the chance to match three of more symbols and bank prizes ranging from 2.50 credits (three 10 symbols) to 70,000 credits when five battleships roll in and combine with 15 free spins (more on those here) and a 3x multiplier. The main reason Battlestar Galactica slots are so appealing to casino fans, especially those that love the show, is because of the in-game video clips and bonuses. Thanks to a unique licensing deal between Microgaming and Universal, you can watch clips of the show as you play. In fact, this is where the game really gets interesting because the more you play, the more you can watch. Battlestar Galactica online slot machines have a level function which basically allows you to improve your "rank" as you play. Starting as a civilian and moving up until you become an admiral, the ranking system is a great way to add some competition to the this video slot and, more importantly, unlock more entertaining content. Normal | In this mode, three or more Battlestar Galactica scatter symbols in view will start the free spins bonus round where you'll get 15 gratis turns of the reels and a 3X multiplier. Run | During the right mode, wins pay from left to right and from right to left which means your chances of making a winning combination are effectively doubled. Moreover, all royal symbols are transformed into mystery symbols to help improve your wins. Fight | When Cylons and Colonials start fighting on the reels, wilds will appear at random intervals. On top of this, wilds can split into two and multiply while three or more Battlestar Galactica slot symbol will award you with five free spins. Even if you're not a fan of the original TV show, this online slot machine is extremely entertaining. In fact, as we said at the top of the Battlestar Galactica slot review, it's the perfect combination of style and substance. The in-game video clips and living, breathing symbols add a touch of quality entertainment to proceeds, while the 70,000 credit jackpot and unique bonuses give you plenty of ways to win. In short, if you're looking for a new casino game, the Battlestar Galactica online slot machine from Microgaming is a great option! If you like Battlestar Galactica - You'll like these slots too!